It’s a bustling time of year in academia, when the hard work and dedication of ICL Graduates are acknowledged. 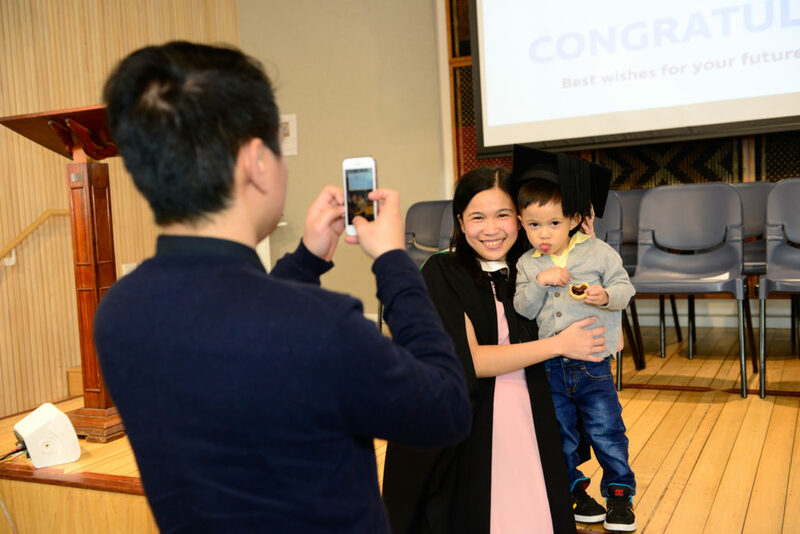 This year, the ICL Graduate Business School Graduation was held at the Pioneer Women’s Hall in Freyberg Place in Auckland’s CBD on 19th July, 2018. Sixty-nine of over 200 ICL Business Graduates from Level 5 Diploma to Level 8 Postgraduate Diploma programmes were awarded their qualifications on this special occasion. 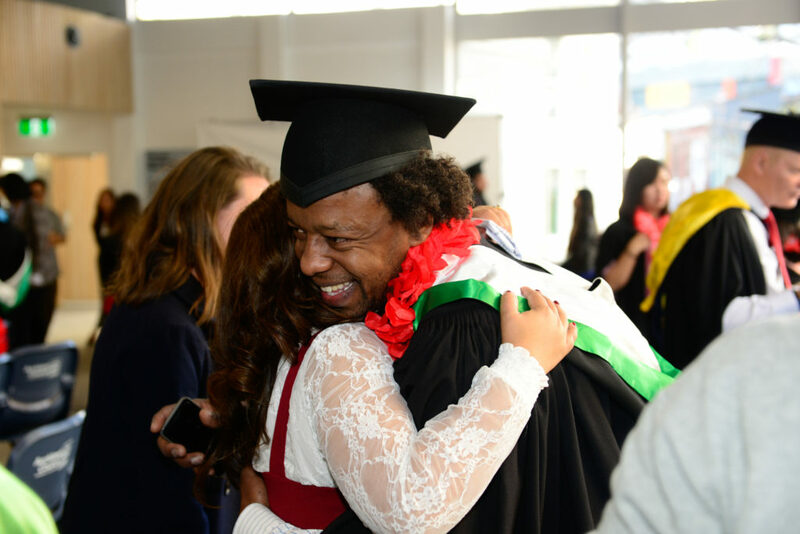 Altogether more than one hundred and fifty people including ICL’s newest Business graduates and their loved ones celebrated their academic success on this special day. 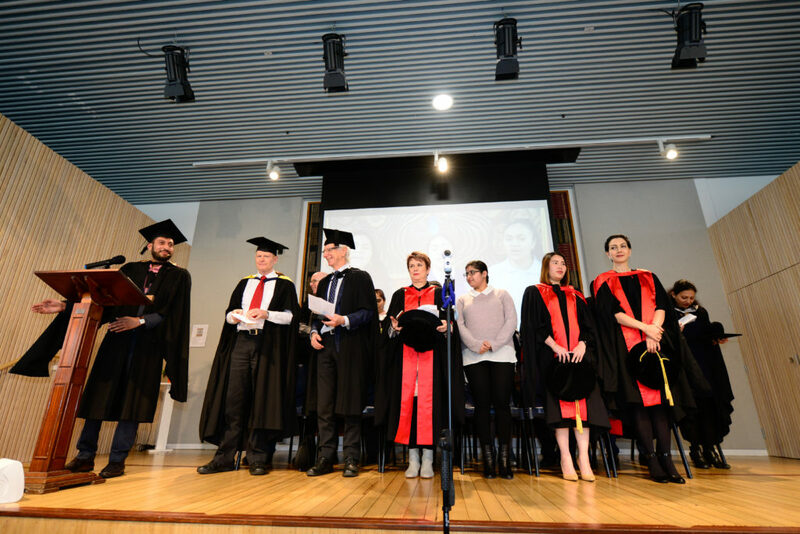 After the guests and graduands had entered the hall and the formal procession of senior academic staff onto the stage was complete, the graduation commenced with the New Zealand National Anthem. Dr Jocelyn Williams, Academic Director of ICL, also congratulated graduates on gaining their qualifications and invited them to keep in touch with ICL by connecting with the ICL Alumni network. 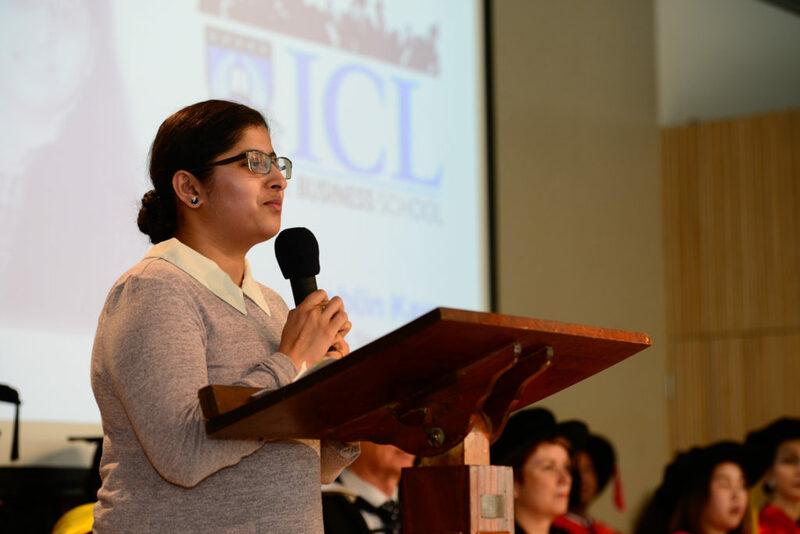 She then invited a special guest speaker for the occasion, ICL graduate Bablin Kaur, to share her story and advice to the graduands. Bablin Kaur came to ICL as an international student from India. She is now a Management Accountant at a well-established accounting firm and gained her New Zealand permanent residency. She spoke with appreciation about the quality of education at ICL and how she overcame many difficulties with what she has learnt from ICL. She encouraged like-minded fellow students to pursue their dreams. 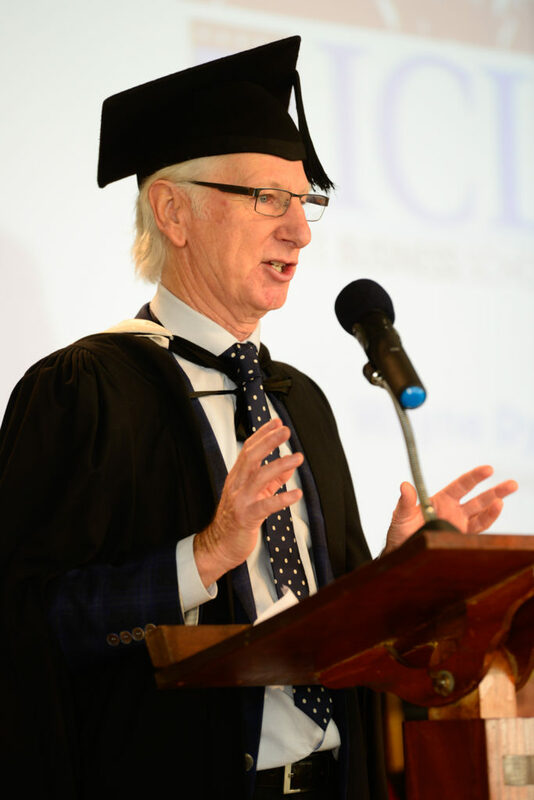 Every graduating student was presented with a certificate by ICL Graduate Business School Principal, Wayne Dyer and Academic Director, Dr Jocelyn Williams. Capped by the principal, a new generation of dream chasers and change makers emerged, carrying with them an incomparable sense of pride, accomplishment and hope for an exciting future. 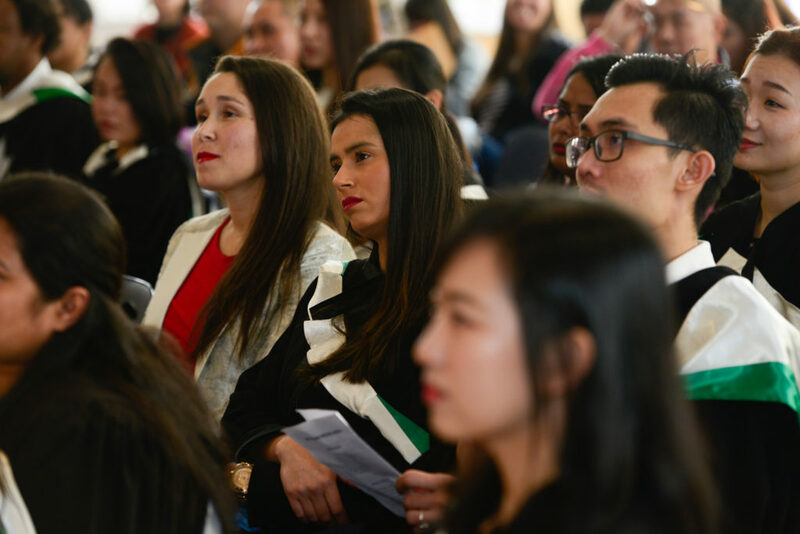 A large crowd stayed on to enjoy post-ceremony socialising, and updated their contact information at the on-site alumni centre to stay connected with ICL Graduate Business School.